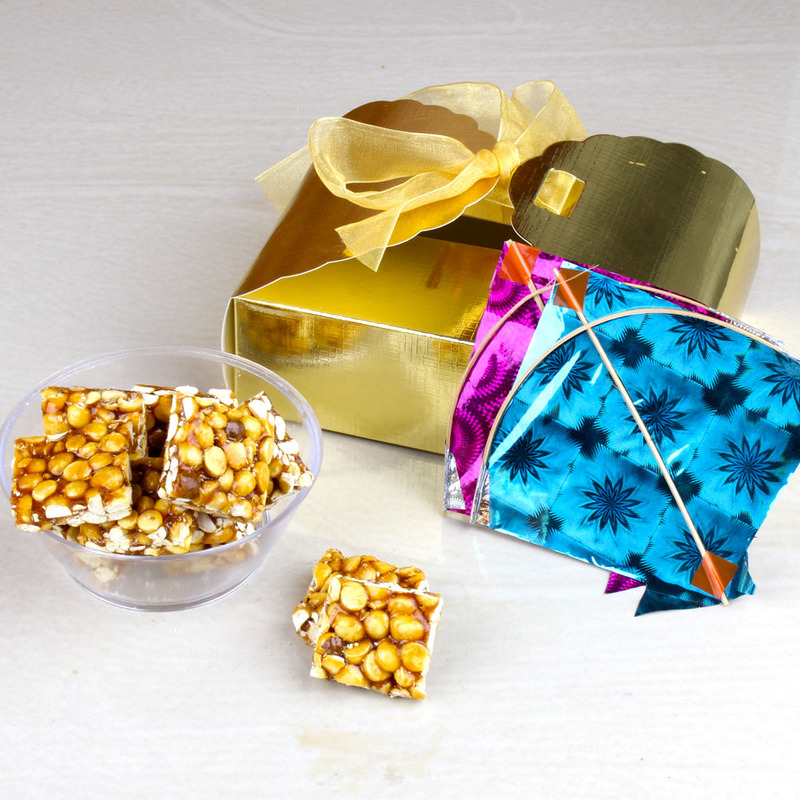 Product Consists : Bengal Gram flavour Chikki arranged in a Box (Weight : 300 Gms) along with 2 Small Kites (Size : 3.5 Inch each). This Festival is celebrating in India with a lots of excitement and enthusiasm. There are several customs and rituals linked with this day festivals which is not only pleasant and enjoyable but also beneficial for health. 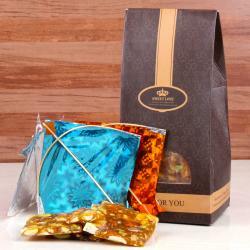 This type of gift is always appreciated for its unique taste, crispness. 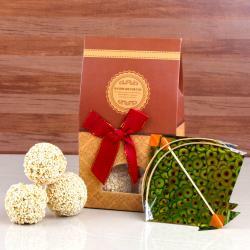 It can be eaten alone and perfect replacement gift item of chocolates or sweets. And also is a perfect muncher for evening snacks instead of junk food too. We all have that one friend, sibling or relative who just loves Chikkis. It can be have in their breakfast or lunch as Indian sweet. This type of traditional selection theme gifts will be completely appreciated by them. And if you are their favorite person than here is a Classy and effective gift combo for you. 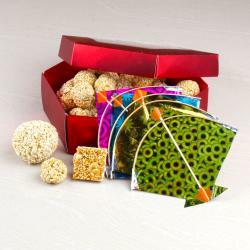 Giftacrosssindia bring to you a mind-blowing collection of Kite Day day like Bengal Gram Chikki Box with Two Small Kites. Check out our Gift shop that will help you to choose the best festive gift for your loved ones. Browse your favourite products, it is very conveniently available for online shopping from anywhere in India with Free Shipping. 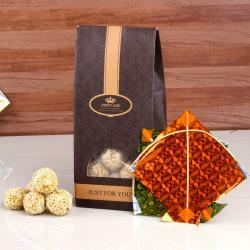 Product Includes : Bengal Gram flavor Chikki arranged in a Box (Weight : 300 Gms) along with 2 Small Kites (Size : 3.5 Inch each).